Here are a selection of Frequently asked questions which may be helpful, many relate to questions about China Repair and you will hopefully find of use. Q. What should I do now I have broken my treasured item? A. Firstly Don’t panic, it should be fully and invisibly restorable so try not to be too upset as it can be fixed. Carefully pick up all the pieces and individually wrap them in tissue or bubble wrap. Carefully place in a container and seek a Professional Restorer to repair the piece. Don’t try and attempt a repair yourself as the results can often be disappointing and sometimes even result in damaging the piece further. If it is worth restoring in the first place find a professional and get an estimate for repairs. Q. Is it worth repairing? A. A question I get asked most frequently. I never make judgements either way as to whether an item is “worth repairing”, as often the sentimental value of an object to the client is far greater than any financial one, and as far as I’m concerned if they are willing to pay to have it restored, then its obviously worth it to them which is really all that matters. Q. I’ve broken my favourite Cup can you repair it so I can use it again? A. Sadly No, anything restored is then fit for Display only and should never be used, things like heat can damage and weaken glues so the last thing you want is the handle falling off your restored cup of hot Coffee and ending up in your lap. For any items you wish you use, you really need Replacement rather than Restoration. Q. What types of repair Services do you offer? There are three main types of repair I am asked to do on items. Museum Repair – This is where an items is carefully consolidated and repaired but with no attempts made to hide the repair, an example is the Ancient Roman pots you see in museums where missing areas that have been filled can be clearly seen. Generally the least costly repair option. Tidy Repair – This repair is a very good quality repair and no less effort is made in the repair process, but the finished repair is not guaranteed invisible. Where gilding is required powdered Gold’s are used instead of real gold leaf. Less costly than an Invisible repair. Invisible Repair – The very best level of repair where the damage is no longer visible and the item looks as it did before it was damaged. A. The cost of repair depends on the work involved and not on the value of the item, so can be different for each piece, Composition of the ceramic, nature of the damage, colours, gilding etc all have a bearing on the cost of repair. My minimum charge is £40 for a Tidy repair and £60 for an invisible repair. Q. What is the difference between Restoration and Conservation? A. Conservation preserves a piece as is and prevents further damage, the repair is usually visible. Restoration involves repairing the piece and then concealing the repair by painting over the area, the repair is usually invisible unless museum repairs. Q. I found a “Restorer” who can do it much faster than you and a lot less costly too, why shouldn’t I just use them? A. As with most things in life with Restoration you get what you pay for, so if you want a cheap fast repair then there are many out there you should be able to find who can help you, just bear in mind the end results may not be quite the same standard. 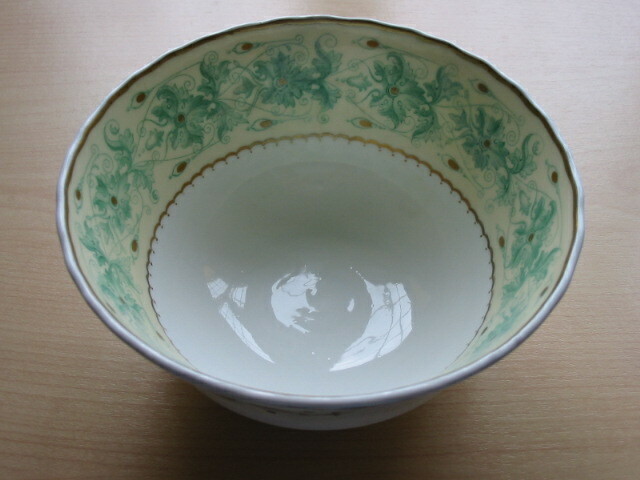 To give an example, using an inferior very fast setting epoxy will glue the piece in minutes, but will likely also start yellowing and discolouring your glaze very soon after, so with Restoration Fast doesn’t equal good, if in doubt ask your potential Restorer about what they use and how they will do the work, to ensure your happy with the care they will take with your treasured item. Q. How do I send my item safely? A. Packing your item safely is very important, make sure your item is packed well enough for its journey through postal depots and on the various vans, cages, conveyors etc, if the item is very fragile it is advisable to double box. Use plenty of bubble wrap and if you can get them, poly beans are also very good for packing. For a box, try and choose one that’s approx two thirds bigger than the actual item inside it and make sure its big enough for the item to be returned in once repaired. I would advise for sending your item, pack with at least two inches depth of packing material between the item and the box edge, even more depth is better if you can. I always advise sending items Special Delivery, that way it is fully insured in transit. Do not send items via carriers, there are none that cover the transportation of ceramics. Q. How do I find a good Restorer? And how do I know they are any good? A. Search the internet or Yellow pages or ask the stall holders at Antiques fairs or in Antique shops. Many dealers will be only too happy to recommend a good restorer if asked. Find out from the Restorer, how long they have been Restoring? What associations do they belong to? Where were they taught? Q. How long does it take and why? A. The time needed for Restoring items can vary, some pieces can take anywhere from two to six months, some pieces much longer than that. It can depend on many factors, the work, the type of ceramic and the processes required and the amount and nature of the damage on the piece. The work can vary from repairing a small hairline crack or a tiny chip, to manufacturing a missing hand or rebuilding an item broken into many pieces. Cleaning and preparing a piece for restoring is as important as gluing and painting and it is never wise to try and rush the work as the outcome will often be a poor quality job. Many of the latest materials produced for restoration have long cure times and this can all affect the time required for the work. One of the epoxies I sometimes need to use can take a full 7 days to set. These materials often give a much better performance and last longer so it really is worthwhile taking that extra time. Nearly all epoxy resins yellow over time, one that sets in 5 minutes will generally yellow a lot faster than one which takes 7 days to set. Painting a piece to an invisible repair can often involve successive thin coats of different colours to achieve that final colour match. Polishing down a piece with micromesh can be very time consuming especially if it is a large area. All these factors and many more not mentioned can all add days and weeks onto the time required to give you a quality, lasting restoration. Q. Can you tell me the value of my treasured item? Even where I have an idea of value I prefer to try not to discuss it, for if I were unscrupulous I could just give the client an inflated idea of cost, just to get them to accept an inflated cost of repair, so I don’t do it. Be wary of anyone basing the cost of repair on the value of the item, the work done to restore something is no different if the value is higher or lower, so be wary of anyone pricing the work that way. Q. Are there any restorations you don’t do? A. I have not found a piece so far that I wasn’t prepared to do, the way I have always looked at it is, if a client has a piece they want restoring with a massive amount of work required, if they are prepared to pay for it to be done I am always willing to take it on. Q. How should I care for my Restored item? 1. 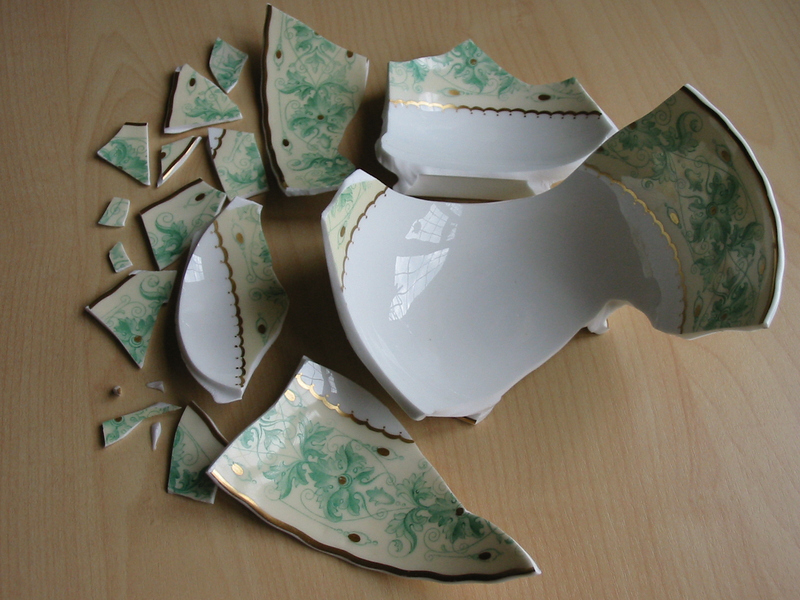 Avoid handling objects by handles, rims, finials etc as repairs will be weaker than the ceramic and could fail. 2. On re bonded or hairline cracked plates do not use spring loaded hangers. 3. Adhesives, paints, and fillers used in their repair are easily degraded by warm liquids. Cleaning should be done using a damp cloth or duster. Never use abrasive cleaners on your restored item. 4. Restored items may be bonded with water soluble adhesive so must not be soaked in water or bleach. 5. Due to the synthetic nature of materials used in restoration, problems with yellowing paints, fillers and adhesives are accelerated by ultra violet light. Keeping the piece out of direct sunlight will reduce this. 6. To increase the life of the repair, extremes of heat and humidity should be avoided.